"Shocking! - Horrifying! - Macabre!" 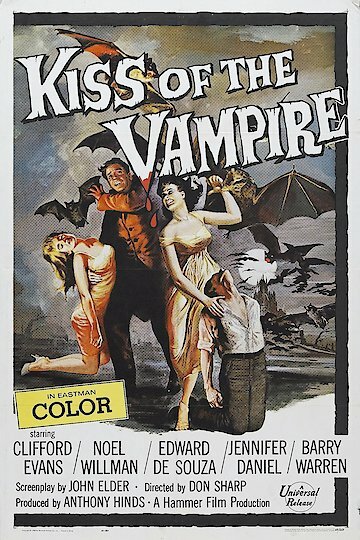 The Kiss of the Vampire is about a pair of newlyweds who are honeymooning in Bavaria. They encounter a vampire cult who abducts the wife. Through various machinations the two free themselves and destroy the vampire cult by releasing bats from hell. The Kiss of the Vampire is currently available to watch and stream, buy on demand at Amazon, Vudu, FandangoNow, iTunes online.